Quiet, laid-back, relaxed...is that the lifestyle you are looking for? 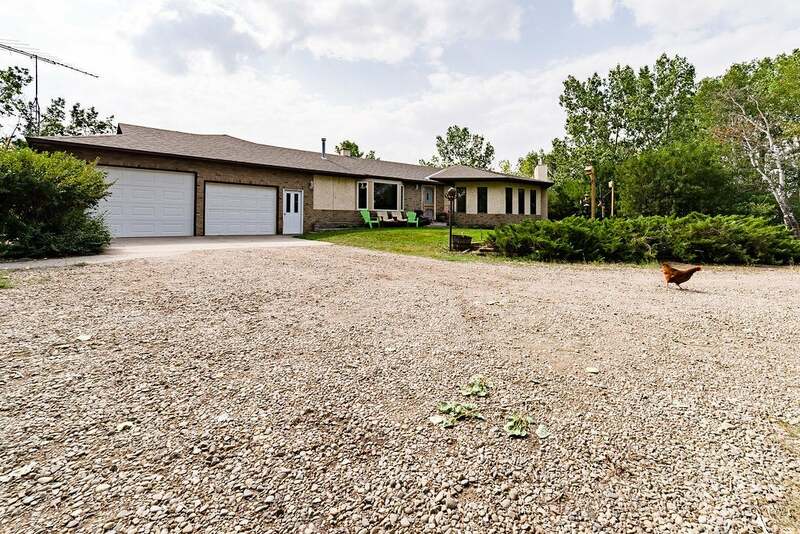 Come check this 4 bedroom, fully finished bungalow sitting on 3.14 acres with mesmerizing views. We have over 4000 sqft of living space here! Stunning vaulted ceiling with open beams, wood fireplace and built-in cabinets in the living room. The dining room comes with built-in cabinets, gas fireplace and nice bay window. Open kitchen with breakfast bar, walk-in pantry + desk area. Enjoy the huge family/rec room (has in-floor heat) with another gas fireplace; lots of space to entertain! Large master bedroom that comes with 4pce ensuite+walk-in closet. Another bedroom and office (that can be used as bedroom) on this floor. The basement features 2 more bedrooms, 4-pce bathroom, great room, laundry and cold room and lots of storage. You will fall in love with the yard: all the mature trees, chicken coop, the garden, fire-pit and those wonderful views. This home has double oversized garage, 2 furnaces, new roof (2017) and is on co-op water.